The star-filled night sky spreads out a world full of form and clarity for the observer looking upwards – and invariably wonder, stillness and then questions arise in the soul. ‘Kosmos’, which means as much as ‘Order’, is what the ancient Greeks called the world above us. Even though no one really ‘needs’ the stars above us anymore since we have all the modern means of navigation equipment, they are still markers for orientation. Yet maybe their presence and activity has begun to be taken inward, so that they offer themselves for a different kind of orientation, more as inward soul experience, directing more towards an encounter with oneself. 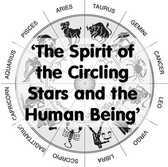 Discovering the twelve images of the Zodiac in the heavens is only the beginning of an observation which can make a deeper, spiritual encounter possible. These heavenly pictures are not only the backdrop to our daily life, but actual portals through which specific qualities flow into our life throughout the year. This year’s Advent Fair and the subsequent Review came and went, and still so many people who one would like to personally thank for all their input. As I have already said, the number of capable hands, feeling responsible for many of the areas, helped and showed in the successful occasion it turned out to be. To give a summary of the Review Meeting, the main points are below. A fuller report will go into the Fair folder for reference in 2017. A first looking ahead to the next Fair is planned for Sunday, 1st January, at 11h30. The Preparation: two heads are better than one, less because of the workload, more for cross-checking, sounding out ideas and, of course, for continuity. Nevertheless hiccoughs were few and far between (but noted!) and the final week also ran well within the time schedule, resulting in the Saturday start being smoother this year. The Day Itself: it ran well, with a high standard of offerings, almost too much to eat! and a relaxed and friendly mood throughout. There was clearly a shortage of stalls this year, partly from ‘our’ side and partly from outside traders. (still a debated issue: do the latter draw people or do they siphon off takings which would otherwise benefit the church? etc.). From the church’s side there are, for example, two renewed initiatives to strengthen the craft tables. The Community managed admirably to replace Anne Gillham’s band of faithful helpers, showing just how strong the Community can be! We also reduced the number of paid helpers this year and it was still enough. We just managed with our live music programme, but had lost a couple of musicians at the last minute, due to injury and to more lucrative engagements. On the theme of money, the prices were felt to be good this year, (food and crafts) and a couple of children’s activities were R5 more this time, with no complaints. We welcomed back the Raffle, Mother Goose, the pancakes and the Lucky Dip. We missed the sale of plants, biscuit decorating and hope for a replacement Treasure Hunt next year … and there are hopes that that the forge and/or copper beating will be back in full swing next year. One “Thank You” is outstanding, to The Michael Mount School, for the tangible support this year, in recognising the value of the day for their families and the Waldorf impulse. An open question remains, regarding a final, organisational meeting in the days before the Fair – this was missed by some and felt that a week before the Fair would be the ideal time, for a last-minute fine tuning for all involved? Your thoughts on this and other observations, can still find space, either in the next Newsletter or on the 1st January. 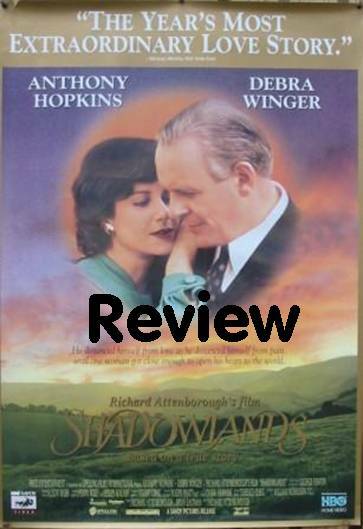 The movie Shadowlands, about the academic and author C S Lewis (author of The Screwtape Letters and The Chronicles of Narnia – the wardrobe makes it into this movie – among others), known to his friends as Jack, and the American would-be writer Helen Joy Gresham whom Lewis marries and then has to watch die of cancer. The movie has several plots: dealing with death; Lewis’ need to control everything and everyone in his life; the interplay between English and American cultures; the struggle to understand a God who allows suffering; the vulnerability of love; the bogus superiority of academia over human feelings; the rebellion of a top student in his attempt to find his identity. In the mix is Joy’s son, Douglas (his older brother David was left out of the movie – maybe because he reverted to his mother’s Judaism and was not a ‘good Christian’ like the rest) who does not age the 10 years (from age 7 to age 17) that the historical events cover, and is directed to play his role with just enough pathos to be credible and steal the hearts of Lewis and his brother and the audience. C S Lewis was part of an ad hoc group of mostly academics who also wrote fiction, called the Inklings. They met in a pub in Oxford called The Eagle and Child (commonly known as the Bird and Baby or simple the Bird) where they read each other excerpts of the stories they were writing. I first came across the Inklings through my interest in J R R Tolkien, South African born author of The Hobbit and The Lord of the Rings and many other books published posthumously by his son Christopher. In the movie they are portrayed as men living entirely in their minds with no connection to realities of life especially a family life. The entry of Joy into this world and the world of Lewis and his brother, who share a house and are cared for by a housekeeper, is more of a whirlwind than a breath of fresh air. Lewis avoids his feelings for Joy and settles back into the routine of life when, after a short visit and spending Christmas at his and his brother’s house, Joy returns to America. Joy returns to London after her divorce from an abusive husband to follow her dream of becoming an author. She attends Lewis’ public lectures and they reconnect. Lewis marries her to give her British citizenship but she remains living in London until cancer is discovered. Historically, Lewis paid for her house in London and the schooling of her boys through most of the three years she lived in London, before their civil marriage. The cancer causes Lewis to connect with his feelings and to slowly realise the passion of love. He marries her a second time in a religious ceremony (not easy at the time because Joy was a divorcee) and brings her home when the cancer goes into remission. The remission lasts three years before she dies aged 45 and Lewis dies three years later aged 64. The theme of death and dying was highlighted in the November newsletter, but from the discussions after the showing many of the other themes came to light. This illustrated that the movie was more complex and thought provoking than just being about dying. There are many lands of shadow that a man (every person) has to deal with and shine a light on in a lifetime. Two meaningful pearls on dying for me were when Lewis asks Joy what he should do when she is very ill with the recurrence of cancer, she says: “you must let me go”, and the connection between two people that is portrayed when Douglas sits bolt upright in bed in the middle of the night at the moment his mother crosses the threshold in her bed downstairs. The English way of life in the 1950’s is carefully crafted and particularly the elevated state of the academic life over the life of ordinary citizens. 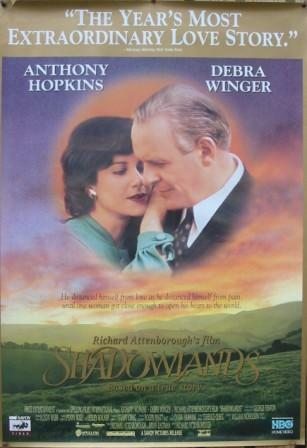 Scenes of Oxford and Herefordshire are beautifully captured in the movie. All-in-all the movie provided for a pleasant Saturday afternoon’s entertainment with popcorn, biscuits and tea thrown in. Rudolf Steiner, in a lecture given in Stratford-on-Avon, 23rd April 1922 (the anniversary of Shakespeare’s birthday). 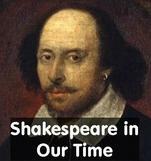 On Friday, 21st October, we devoted our poetry evening to Shakespeare, and enjoyed a variety of readings and scenes from A Midsummer Night’s Dream, The Tempest, Twelfth Night, Hamlet, and Henry V, as well as readings of some of his sonnets. Evan McGillivray gave a little-known and very interesting sidelight on how Elizabethan students were taught rhetoric, using examples of speeches taken from Shakespeare’s plays, and he and Malcolm and Christine played some delightful contemporary music on recorders and guitar. It would be interesting to talk about why Rudolf Steiner spoke as he did in the extract above, and it was felt that we might form some kind of a group to look at the plays in depth. 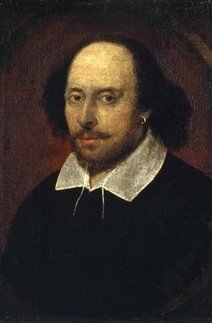 Shakespeare can only really be understood and appreciated when it is being acted, not studied as a text, so I have in mind that we might look at some of the very excellent film productions of his plays on DVD, and discuss some of the deeper implications, and how the plays mirror even our own contemporary situations 400 years later. We could also do some active readings of certain key scenes, to experience just how enlivening it is to work directly with his words. Anyone interested to join such a group is invited to telephone me on 082 920 7952. Pat Wohluter remains for me one of the most selfless people and serving souls that I have ever had the privilege to meet. After Cindy Spencer offered the church the opportunity to take on the Moonlight Market, our first task was to find a person who’d be prepared to carry the central food making task. Pat stepped forward and for the next ten odd years she gave much of her life to arranging, preparing and serving the food for our extremely successful markets. In the Advent time we sometimes prepared and served food for over 600 people. In all the time I worked with Pat, which included many harrowing moments, Pat remained calm, never raising her voice. She always served the task at hand and only a few days after a market when we got back together she might then point to how we could improve. She was a very humble person but also a hugely generous member of our church. I knew also her good husband Clem, who I think often stood in amazement that Pat could possess such energy and purpose. 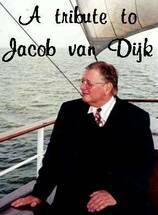 He was an academic at the University of the Witwatersrand, so making and serving food to scores of people wasn't really his thing, but he supported Pat all the way by taking over the handling of the money for and on the market days. Pat's passing is maybe the closing of an era. There were, of course, many other people who gave their time and help to the market, they too should be warmly thanked. I'm sure, though, they would all join with me to honour and applaud and thank Pat for her gift to us as a community. On receiving the news of Pat’s passing, I immediately had memories of Pat ... her enthusiasm at the Moonlight Markets and years of hard work year after year always with her quiet nature carrying this amazing task to raise funds for The Christian Community Church in Randburg. November is the month of the year when many people around the world turn their thoughts to the departed. In our church we too commemorate Remembrance Sunday – which this year is on 13th November – usually with a talk or a sermon after the Act of Consecration of Man. However, this is not the only time when we honour those who have gone before us. 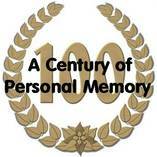 In our community we devote one day of every month to a special event called 'Remembering Those Who Have Died'. It takes place on the last Saturday of the month and in November this will fall on Saturday 26th. The gathering lasts for about one hour and it is by no means a gloomy occasion. Since the beginning of last year, our focus has been on chapter 17 of the Gospel of St John. We take turns reading aloud this very significant chapter and sharing our thoughts on one verse at a time. This allows for a much deeper insight into the meaning of the words. We gather in the Wake Room at 5 o'clock in the afternoon. 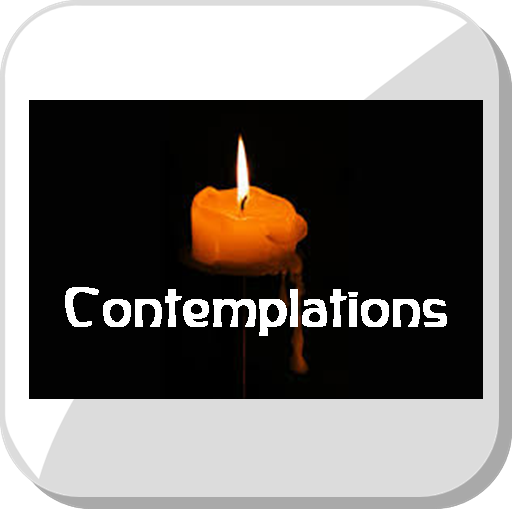 After lighting a candle, the Gospel chapter is read and a contemplation of the appropriate verse is presented and discussed. This is followed by remembering all the people associated with our church, whose passing away anniversary will be in the following month. The reason for doing so is because we are inwardly preparing for the date that is soon to come, rather than gazing back in retrospect. Remembering the death date of those who died in the month to come is like remembering a birthday, only in this case a birthday seen from the perspective of the one who has been born into a new life after death. We end with a verse from Rudolf Steiner before the candle is extinguished. In our remembrance book, we have records of funerals and memorial services going back many years and it is good to keep all those individuals lovingly in mind as we read out their names. On 26th November we will be remembering the ones who died during the month of December. If you wish to join our meeting to particularly remember someone close to you, the right time to come would be the Saturday before the anniversary month. Everyone is welcome to this open monthly meeting, whether occasionally or on a regular basis. However, the contemplations and the peaceful atmosphere are extremely worthwhile, regardless of any personal connections. This is not just about our remembering those who have gone before us and of lifting our hearts to them; it is also done in the awareness that we and this city need to receive the blessing of those who are living on the other side. 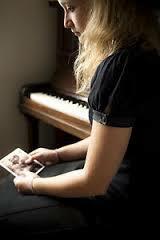 Over time the experience of the Remembering becomes reciprocal and real. If you would like to find out more, you are welcome to ask me or Anne-Marie van Dijk, or approach either of our priests. - last, alone, is the Alpha. The Alpha controls everything from the rear. In that position he can see everything and decide the direction. He sees the whole pack. ​“The pack moves according to the elders' pace and help each other, watch each other. The Community Forum opened without an agenda as opposed to the forum almost a year ago where the agenda contained 12 points. This time the Forum provided an opportunity for members of the congregation to be heard. The first topic that arose was the future of priests in Johannesburg, as Marcel Frank has abandoned his attempts to obtain a work visa and Malcolm Allsop’s work visa comes to an end next September. This allowed for some introspection on how the congregation will fill the gap in the running of the church. In many respects the congregation in Johannesburg has not moved beyond the pioneering phase. Making that transition is not easy. Furthermore the pioneers of this congregation have mostly died, moved away or are of an age where they no longer have the energy for pioneering work and ask the next generations to take up the work. Johannesburg is not an easy city and the younger generations find that they have their hands full with the demands of living and working here and have little excess energy for other projects. 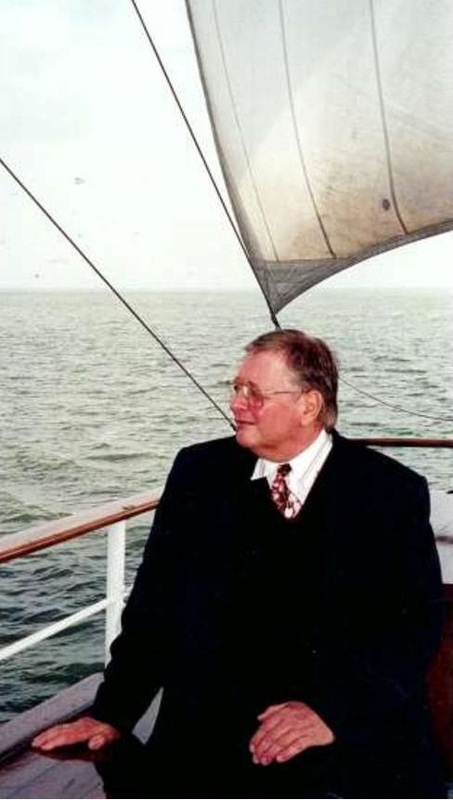 We were also reminded that we are still not connecting with 90% of the population of Johannesburg and remaining as island of isolation has its challenges (see the words of Hans-Werner Schoeder in the contemplation). One suggestion was that we need impulses. One might be to travel into the townships and get to know what life is like for the people who live there. We may find a way to connect. An initiative is underway to help us connect as the community through community dinners at which everyone shares on topics of common interest, such as our connection to the church. Two have been held. Members are welcome to volunteer to host a dinner or ask to be invited to a dinner. Malcolm also shared how the work that Heidrun Weber has been conducting with a small group has allowed that group to really hear each other through interrogating a specific question. The opportunity for more members of the congregation to participate will arise later in the year. It was concluded that this forum had served a valuable purpose in allowing people to be heard. 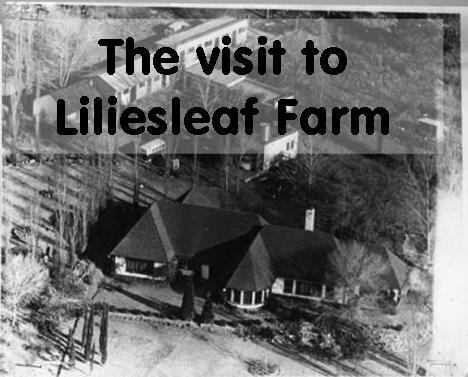 The visit to Liliesleaf Farm on Saturday, 10th September comprised a very small number of the congregation, possibly because no one knew that our congregation had a direct link to the farm, but more on that later. The heritage site is dense with information relating to the struggle in South Africa and the part that the people who lived and met at Liliesleaf played. Half a morning is not enough to listen to stories, watch the video material and see all the exhibits. The night of the raid on the farm is described in detail as is the escape from prison by a group of those who had been captured and their daring flight to Europe. There is also the story of the gun smuggling on a Safari tour vehicle (on exhibit) and the part played in the struggle by the armed wing of the African National Congress, uMkhonto we Sizwe. The original outbuildings were destroyed and incorporated into a new house when the farm was subdivided into residential stands, but it turned out that the old outbuilding foundation had been used for the new house and so it has been possible to restore these outbuildings even using some of the original bricks discovered in the foundations of the second house. Hans van Dijk writes that he has memories of Liliesleaf in the 1960’s when he had newly arrived from Holland and found employment with a photographer. He attended parties at Liliesleaf Farm and was lucky to find other employment just before the photographer and his wife were arrested at the farm. Were these the Goldreich family who lived at Liliesleaf as a front for the real activities for which the farm had been purchased by the SA Communist Party? This heritage site is well worth a visit and give yourself enough time to take in all that is on offer. There is a restaurant to break the intensity of the visit with a meal and coffee breaks. There is a Cricket rule book that has been drafted by Human Beings. These people have understood the concepts of the game and used the Word to express them and define them in a way that they can be interpreted by others without ambiguity. This written document holds fast these concepts. They will remain in this book. Each of us have our own, normally rather unformulated (Unconscious) inner rule book. Our ‘rule book’ is seen by others in the way we interact with them and the world. We often wonder what on earth is in the others’ rule books, don’t we?. Humanity is always evolving. A daisy plant is unfree in that it is always the same, year in and year out. Each day, we as human beings can be different, ‘added to’. We have enormous freedom here, but also emerging accountability. A random, unconscious rule book leads to randomness and dependence on others. A conscious rule book leads to the ability to contribute and be free because one knows where one is more and more. Today humanity need to realise this and take it on. This is where we are. We ignore this at our peril. Businesses today can overcome their dependence on market trends, patents and niches if they spend time harnessing the power of conscious human souls. To achieve this, they need to assist each person in the business to recognise their human qualities over their animal qualities. 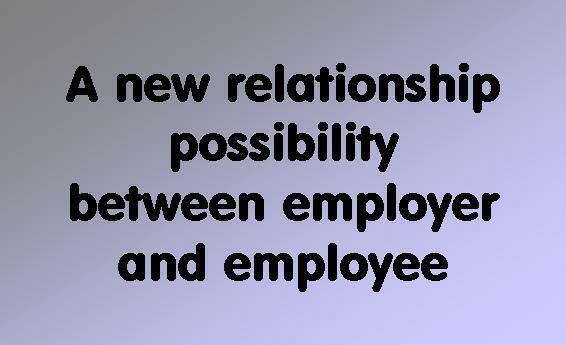 Then we need to assist each person to develop a rule book that is a subset of the overall business rule book, BUT, we must never lead the individual away from realising that it is his humanity that is being awakened in this process. The business gives him a chance to experience this. Sounds more like a title for a story about gnomes. But wait. On Saturday afternoon (20th August), a number of members watched this amazing film in the community room. I have to admit, it was not easy to follow, with lots of tumultuous scenes, flashing lights all over, alien beings, earthly/human power politics, and mostly very fast moving actions. All with the existence of the Good Guardians of the universe at stake. Throughout all the fighting scenes, one individual stood out. He had been chosen to be the bearer of a special ring which had the power with which the chosen individual could do/achieve anything – provided he was absolutely free of any fear and that his will could focus without any distraction on that which he set out to achieved. In the end, the evil forces were overcome, the good, the earth was saved, through the totally focussed and positive will-power of one individual human being - The Lantern. 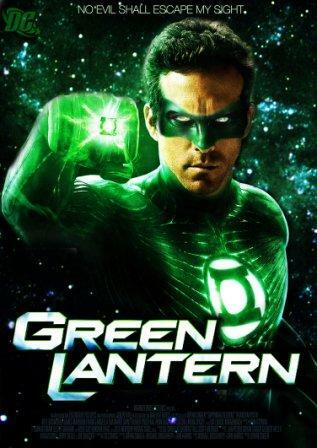 The ring 's power need re-charging from time to time, and the lantern – a second symbol that The Lantern carried – was the power-source. Was this all a picture for each individual? The human being, individual, can overcome the greatest difficulties and challenges when the will has overcome fear and is totally focussed and then combines it's efforts with the power from "other sources" (in the film the ring, nowadays perhaps spiritual knowledge?). A lively conversation followed the showing of the film. Finally a big "Thank You" to Kerry, whose persistence brought this afternoon about. On Friday evening, 12th August, Michael Merle, teacher at the Roseway Waldorf School in KZN and Waldorf School teacher trainer, gave a talk at the Anthroposophical Group on the Tree of Knowledge. We know the Tree of Knowledge from Genesis, where Adam is told by the Lord God (more correctly Yahweh of the Elohim) that of all the trees in the Garden the fruit of the Tree of Knowledge is forbidden. Yet it is the one fruit that Mankind desires to eat in order to become as knowledgeable as Yahweh of the Elohim. Through the courageous feminine aspect of Mankind (Man denoting a non-gender specific sentient being, in contrast to human, which may denote ‘of the earth’ (my own preference, not Michael’s) Adam and Eve listen to that surreptitious voice whispering within their being and eat of the fruit of the Tree of Knowledge. This act sets Mankind on a specific irreversible path. The Tree of Life is also encountered in the Garden, but no fruit is described. We encounter the Tree of Life again at the end of Revelation, where the Tree of Life bear twelve different fruits, one in each month (note that Revelation specifically says ‘bear’ not ‘bears’, meaning that the Tree of Life is not singular). Michael went on to explain that there are seven esoteric trees that are related to the Great Ages of the earth’s evolution. 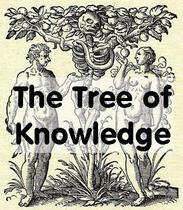 The Tree of Knowledge is the tree that frames the “Earth” age the earth’s evolution. It fruits at the start of the Earth cycle and the fruit of the knowledge of good and not-good is meant for Mankind in this Age. Michael suggests that Mankind was able to ‘digest’ the fruit of the knowledge of good and not-good only at Whitsun with the appearance of the flames of the spirit, hence the ‘punishment’ meted out to Adam and Eve when they eat of the fruit when instructed not to. The twelve fruits of the Tree of Life are the fruit for Mankind in the next Great Age of the earth’s evolution. Michael further traced the Tree of Knowledge and the Tree of Life through the major post-Atlantean civilisations and showed how the image of the Trees merges until the Tree of Life becomes the dominant Tree. He showed us how the Tree of Life, as understood in Kabbalism, is related to the Lord’s Prayer. Finally, Michael related how the Foundation Stone Meditation is in a way a summary for the transformation of the Tree of Knowledge into the Tree of Life. Dr Steiner says in his book ‘Riddles of the Soul’ that we need to become attentive to the independent life of the soul as it is alive and functioning independently of our physical existence. I, David, say that you can experience this in the following way. Take a small bag of marbles and play with them, not only outwardly, but inwardly. Do this sincerely, in quiet, with openness. Take the marbles into your soul. Now, take in the following words – round, glass, smooth, roll, colour, clatter. Then take in the words square, or gaseous. Be attentive to the independent life of your soul. It feels comfortable hearing the first words, however I find that the last two words bring about a feeling of discomfort. Ponder this. Is this real? Now, reflect on what you have done. You have taken into your inner life a very simple concept of marbles. Your soul, being alive, gets itself aligned to this simple reality of marbles. When it is then presented with square or gaseous, these words do not fit comfortably into the series of concepts one has associated with marbles. You can surely, from this example, experience the independent life of the soul. This process happens to us in life. When one chooses to fill ones soul with truth and objectivity, one is really preparing the soul to know more than just marbles but to be able to recognise the good and the true of the spirit when it is placed before us. The opposite is also possible. One can create confusion and disorientation in the soul by continuously feeding it intellectual theories and abstractions, fantasies and illusions from all the possibilities that surround us in our day to day lives. ​‘Seek the light that rises in the west’ has been recently donated to The Christian Community library. "A true philosophia satisfies the desire of the scientist for clear, pure, objective thinking as well as the common human need for an answer to life's questions which rise powerfully from the life of feeling and will'". From an author who understands, experiences and therefore is able to articulate "living thinking" i.e. – observing the activity of thinking itself rather than the content of thinking, as usually experienced in ordinary thinking. Through study and meditation of Rudolf Steiner's book 'The Philosophy of Freedom' a whole independent inner development started. 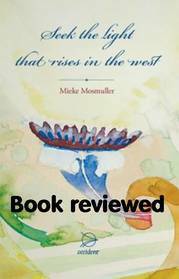 In her first book 'Seek the light that rises in the west', she describes this development as a possibility for each person in our time. It is the foundation for all her following books in which she repeatedly expresses the importance of independent, active thinking. During her work as a General Practitioner she experienced the necessity of that, all the time. The training of thinking weaves into feeling and into willpower, and brings an increase in harmony, peace, rest, health and psychic power – as the result of an ever-increasing activity of thinking. Why not start with the picture on the cover: a sandy beach, water lapping the shoreline and a clear blue sky above. Just where sand and water meet stands a cluster of long, slender branches, tepee-like in form, with some silver tinsel loosely strung around them, and a silver star fixed to the tallest branch, the silver catching the sunlight. A Christmas tree – perhaps? Summer, judging by the cloudless sky and with the eye of a Northerner. Winter, judging by the length of the shadow thrown by the ‘Christmas tree”. How do we celebrate the Christian festivals, in different cultures and places of the earth? To what extent are they related to, or expressing something of the local season? Are our symbols fixed, (e.g. a fir tree at Christ’s birthday) or can we be imaginative, listening to what lies behind the symbols and within the particular festival? Do we need to be polemic in such matters, arguing ‘our’ case? 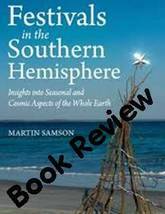 A book written by someone from the southern hemisphere, looking at the theme of festivals there where his expertise lies. Secondly, the subtitle, “ Insights into Cosmic and Seasonal Aspects of the Whole Earth”. Throughout the book, whether referring to and quoting Dr Rudolf Steiner or sharing his own musings and experiences, the strong impression is of someone concerned for grasping the whole. The author doesn’t come across as defending his ground, in a field where positions are often very strongly defended. ”…Each one of us has to create the content of the mystery of a festival in our soul and then build festivals out of that inner communion” ( p179). This book could well lift the on-going discussion to a new level. Order the book from Floris Books. to the dark Gate of Death. gathered it in protective wings. trust in what is to come. En de ziel heeft vertrouwen in wat komen gaat. Jacob selected this verse many months before his death and left a little Post-It note in the book for Anne-Marie to find. His request was for this verse to accompany his funeral. Several letters of tribute were received. You may request copies from the newsletter editor. 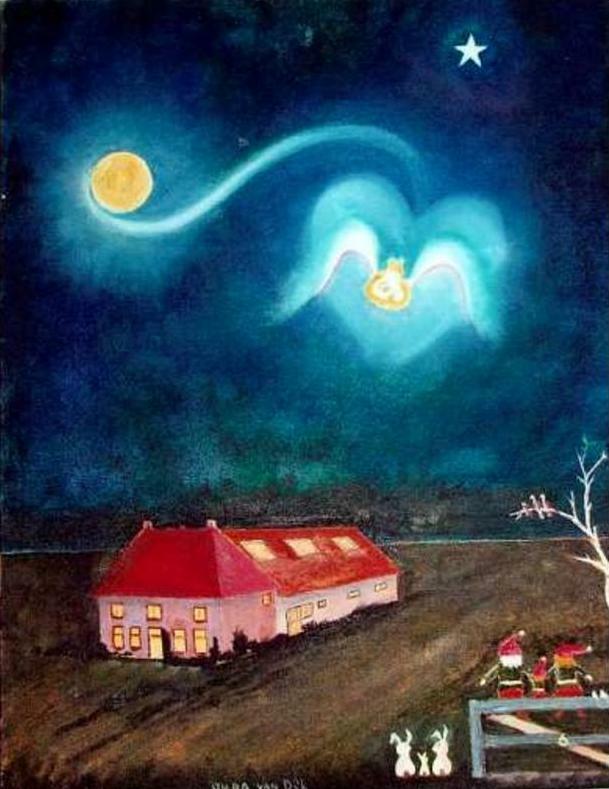 This painting by Jacob represents the soul of his granddaughter descending to earth to be born in a farm house in the Netherlands. For more pairings by Jacob click here. What is it like for parents to hold their new-born baby and think of the life that lies ahead, a vast expanse of growing, awakening and becoming still veiled, but real. What is it like to come to a hundredth birthday and look back on a century of memories, a life interwoven with what has already become history for many contemporaries. That is when we, the younger ones, realise that history is made by people, by their visions, their work and their warm hands and hearts. And we all are weaving a piece of what will appear in the future. Maude Wooll has for many years celebrated her birthday twice, due to confusion in records stating it to be either in June or July. Maybe that is how it has to be for someone who always put others first before thinking of herself. She was born in Britain on 27th July 1916. She came to South Africa with her husband after the second World War and has three children. She was part of the pioneering of the Waldorf Kindergarten in Johannesburg and when the school was established in Bryanston was a nursery school teacher there for many years. She is known for her bright blue eyes and hearty laugh and warm, social personality. Always interested in the other person, she was called to the Buitenverwachting wine estate and became the all-in-one-person to be secretary, housekeeper, cook, event organiser and whatever else a very capable, practical, loyal person would do for the well-being of those she cared for. She was also part of the group pioneering and preparing the ground for The Christian Community. Many vestments and chasubles were sewn by her. Now she lives in Ekklesia Park retirement village in Blairgowrie and still greets her visitor with sparkling eyes and a bright smile: ‘So kind of you to come! Thank you, so good of you!’ Now the light she has nurtured a lifetime shines out with calm radiance, still changing the world around her and blessing it. So we hold her in prayer in every Act of Consecration, with gratitude. ​After some travelling through Johannesburg, suddenly - it seems - one is out in the countryside. It is difficult to catch the moment ... this crossing over ... this threshold moment. Then, soon we are at the picnic site - a river with its sounds and sights, and open space. Children, from 3 years to about 10, and a group of adults set off on the hour circling walk. Along the way, we cross the river in a metal “chair” sliding along a cable up on high. We all enjoy the adventure, children especially, and having crossed over, its “onward Christian soldiers” until we re-arrive at the beginning. But ... this is not the end as we surmised; motivated by Malcolm we climb again up to a height where we set up our picnic in the shade under a tree, with an uninterrupted view of perfect ascension clouds that set the mood for the day and a lovely setting for an Ascension story told by Malcolm and enjoyed by all. Time too, to play, as children in heart and mind, climbed down to a cave – “skeleton” and all! Hampered by my leg, I had to miss out on that, but was aware of the excitement and enjoyment. Yet, through all activity, there was a peaceful and gentle mood – throughout, a space and place for each irrespective of age and pace. All went so smoothly without any “hectic” direction - it was a restful day, a welcome gap in our city lives, a good Ascension sharing. ​Almost half way through the year, our waste paper recycling still shows plenty of scope for improvement. While the weight of paper collected in the first quarter kept up with last year’s figure, the second quarter has seen a slowing down. Here is a new way to increase the amount of paper we collect. We have obtained Ronnie Recycler boxes that are perfect for offices and other areas where paper is frequently discarded. Please take a box to your place of work and ask your colleagues to deposit all their used paper in it. When full, bring the contents with you to the church and feed into our green Mpact paper bank standing at the top of the drive. If done regularly, everyone would benefit, making your office space clearer while growing our fund-raising. If you don’t have an office of your own, perhaps link up with a friend or an acquaintance and bring their paper to put in our container. Or you might come up with your own creative way of collecting more waste paper. If you do, please share it with others through the newsletter. My challenge to the community at the beginning of this year was to fill up the paper bank twice a month. So far we have not yet achieved this, but with an extra effort could still catch up. Absolutely anything made of paper is suitable for recycling. Don’t be tempted to throw any paper into your refuse bin for disposal; no matter how little you have, it all adds up. It is money for nothing and yet, with more effort, it could substantially increase the income for our church. The Ronnie boxes, folded flat for easy handling, are standing in the foyer of the community room. Please take one with you and see what you can do. Thank you to everyone in advance! Why ‘The Church of Lazarus’? ​A few weeks back, while in conversation, I was asked why I called our local community The Church of Lazarus. I thought about that for a second and replied that sacramental Christian communities usually dedicate new churches to either a saint, a divine-spiritual being or the Christ-Being: examples are St Luke’s, St Michael’s or Christ Church. Outside the precinct of our community is emblazoned the name ‘Lazarus’ on the notice board, but as I didn’t really know why I approached a source to find out. My chosen ‘victim’ was Malcolm! Malcolm went on to explain that Neville had written back to say that there hadn’t been any special reason why, only that a few among those souls involved in the founding of our church came together to debate what it should be called. Names were bandied about and Neville threw in Lazarus for consideration, as he was at the time contemplating the name, being and significance of Lazarus in Christ’s earthly biography and, besides, he liked the name. It was adopted! That’s the story so far. Malcolm mentioned that it’s not obligatory to give a name to a Christian Community church; some communities do, some don’t. When I think on it, the naming is not just serendipitous. Nor is it out of the question that the Angel of our community could have silently participated in the joint quest. Every name has meaning, and I feel that Lazarus is a living message to us. Christ Jesus arrived in Bethany four days after the death of Lazarus, and Martha metaphorically threw the gauntlet down at the feet of Jesus by declaring that the corpse by then was stinking. Jesus responded by declaiming ‘Lazarus, Come Forth!’ (Authorized version). Those who found the faith were, in their great multitude, one heart and one soul”: Acts 4:32. This was the reading on Sunday, 22nd May and the subject of the sermon. Students of Anthroposophy will know that in the distant past members of a family were one heart and one soul to such an extent that it was nigh impossible to tell them apart. Tribes were of one heart and one soul and special ceremonies were necessary to allow someone from another tribe, through marriage, into the tribe. Today we are more individual than ever before, we are a tribe of one and even a family of one. Our divorce statistics and so much else in society point towards this. We call our church, our movement, “The Christian Community”; not a church but a community. Many churches are communities often by fact that the members are born into the church, baptised, confirmed, married and buried in the church. They are a community in that they commit a portion of their income to the church, accept that they will be part of work-groups, committees, organising groups and the structures of the community. This is seen as a duty and accepted as such. The Christian Community attracts people who find their way to a church based on a life event or a seeking for a renewal of religion. These people find their way to our church of their own free will. They find a connection through the sacraments or a priest. They have no connection, often, with other people in the community. In fact we are not a ‘natural’ community. How then do we call ourselves “The Christian Community”? Turning again to Anthroposophy, the same source that allowed the founding of The Christian Community, we understand the process that has led to us being individual. We understand that it is a process towards freedom. We can come to appreciate that it is necessary for communities of the future to form through the act of free will by people pursuing a common ideal. The common ideal is the focus for these new communities, but the question must arise: what is the glue? The definition for community includes “living in the same place”, “characteristics in common”, “attitudes and interests in common”, “interacting with one another”. By definition, a common ideal does not form a community, more is required of the individuals to form a community than purely having the same ideal. The question now arises is: what acts of free will are necessary for a group of people with a common ideal to form a community and then to sustain that community? I don’t pretend to have the answers, yet it is clear to me that there is more that is required than a common ideal. It is also clear that active work is required in seeking and agreeing on what the others acts of free will are that are necessary to sustain a community: The Christian Community. I feel that without this common focus on what the glue is that will hold us together, very few of the individual initiatives will have long-term success. Working at strengthening the glue that holds a community together is what builds one heart and one soul. ​I also need to highlight that, despite everything, we should not take for granted that we can arrive here on a Friday, Saturday and Sunday and be guaranteed of a service and that the major festivals during our Christian year are all upheld and carried. This is something that is often taken for granted, and if we want to be brutally honest we need to remember this when it comes to our contributions every month. One of our major objectives in the latter part of this year’s AGM was to follow onto the last few community forums we had about what we treasure about our church and how we ensure its well-being going forward. We have definitely reached a turning point in the economic prosperity of our Church. Why do I say a turning point? On the current trajectory we will need to take drastic remedial action to save our church from financial ruin. I do believe that there is no one who wants this to happen. The turning point therefore is: what are we to do as a collective, not me, or the priests or the trustees, but all of us together to solve this crisis? I am convinced that we can come up with solutions together! It is not going to be one magic intervention that resolves this, but it will be a whole lot of small interventions by all of us that will rescue the day. So I leave you with the question, what is it we share as a picture of the future for The Christian Community in Johannesburg? Let us keep that in our thoughts in all our relations with the church. We have had several generous donations of books that we wish to acknowledge, from Pat Wolhuter and Anna Haberkorn amongst others. This has required quite a bit of work to sort and catalogue them. As soon as the books are ready for lending, they will be listed on the notice board. Another list will show all the missing books, from our last inventory. The missing books are of great concern to us and we’d like to make every effort to recover and prevent this situation. We understand that the nature of the content for most of these books require deeper studying which takes more time than, for example, reading a novel, but at the same time we need to ensure they are not forgotten and at worst mislaid after months or years of neglect. 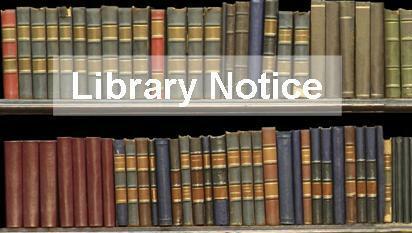 We would therefore like to introduce a fine of R20 per month when books are not renewed on time. If a book is missing for more than 3 months, you may be asked to replace it or pay the current cost of replacement. We look forward to collecting sufficient funds to order some new material from time to time. The yearly membership fee of R50 will also contribute to this endeavour. We encourage you to use, preserve, grow and enjoy our wonderful library. To Colleen and Catherine Shine - on Sunday, 24th April. Along with Malcolm's warm guidance and Irish humour, and Christine Allsop’s cultural prompting, the community gathered to bid farewell in Love's various forms of language. Through choral songs of Peace and Blessing, the double cellos sounded amazing. Clarinet, Flute, Oboe, Guitar were all instruments used to pay their tribute. 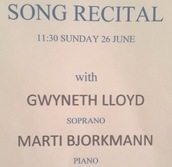 Catherine's piano playing also did tribute as did Mags' words of long-time friendship, Poems of Soul and Spirit kinship; Colleen expressed a touching moment of gratitude for the support that had sustained her over the years, especially remembering her state of being 15 years ago. Anna Lampen's visual masterpiece – a handmade book, an illustrated calligraphy of the 12 month's Virtues – and her request that contributions towards this gift be made to the church, rather than the artist. ​The Board of Trustees has authorised a website hosted on our own domain name for our congregation in Johannesburg. Some background: The Christian Community in Southern Africa has had a website on its own domain name for many years. In April of 2012 I demonstrated a new website to our Board of Trustees and this became the new official website for the Southern African Region. At the time I had the hope (and made the provision) for each congregation to express itself on this website. After three years it became clear that our congregants barely use our website and that our website is rather our “face” to the outside world. 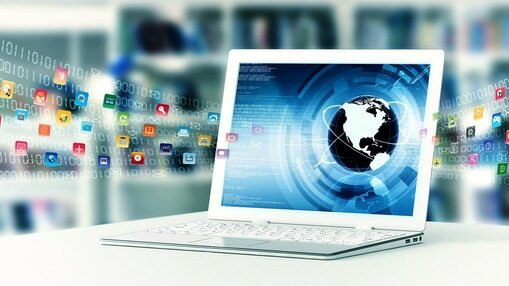 We have several visitors a day to our website with referring sites (Google searches) from all over the world. Late last year Reingard and I agreed to streamline the Regional website and consider more carefully, with Lenkers all over the world, what our “face” to the world should be. However, over the four years I have put quite a lot of work into giving character to the congregation in Johannesburg online. I separated this work out and created a new website that has been hosted on a free domain for the last six months. I have followed the practice of the North American Region in this, regard where there is a Regional website but each congregation hosts its own and unique website. 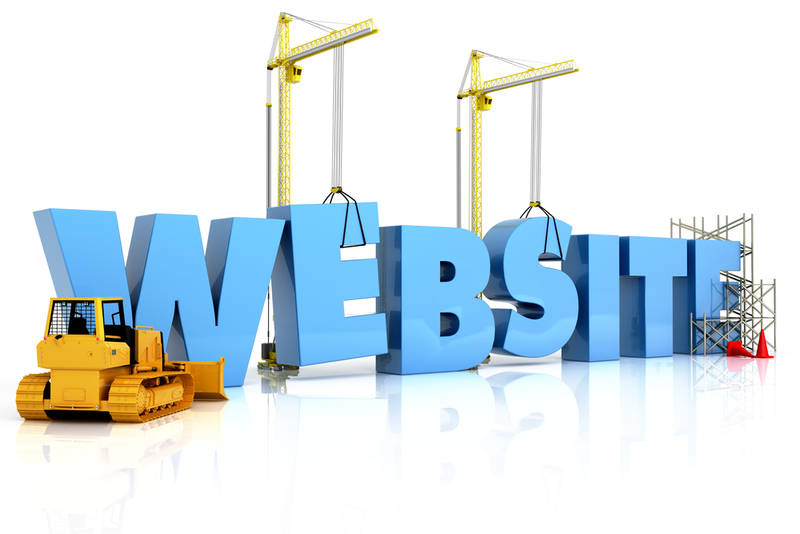 Although there is a link to our new website from the Regional website, it is a separate website and will appear separately in Google searches. The aim of this website is to reflect the life, character and vibrancy of our congregation to an outside audience. (I still will not fool myself into thinking that this website will be used as a community building forum by our own members.) Here you all come in. Your thoughts on what we should reflect about ourselves to the outside world, and to Gauteng, in particular, is greatly welcomed. Please write to me directly or via the “Contact Us” tab to your left, with these thoughts. A reminder that we have a Market page on our website where you may market your business to our congregation and to the world. It came to light again at the farewell to Colleen Shine the number of members of our congregation who have practices in the healing business who have not requested to market on our website. Our annual General Meeting 2016 on Saturday, 12th March, was surely an encouragement to all – such a big turnout clearly indicates that everyone not only wanted to review the past, but more importantly, wanted to be part of shaping the future. What members had experienced last year on the occasion of celebrating 50 years of The Christian Community in southern Africa still is alive and wants to be realised. All around us the world is changing in every aspect, to a degree and a speed that the individual hardly can grasp. Who does not sometimes feel being overwhelmed by what comes towards us? Yet when many individuals unite, and out of a common vision for the future, hope and strength is created, which provides the space for something to happen and be realised. The vision is: The Christian Community will be here in Johannesburg also in the future as a growing, developing Being. This Being needs a physical body and spaces which then have to be looked after and cared for. ​Like the Little Prince who cared for his rose. At some stage he had to go on a journey, where he learned why his rose was so special to him: he had become familiar with it! The members of the community have become familiar with their -our!- church. Becoming familiar with someone, something, awakens the sense of responsibility for it, a life-long responsibility. Membership in The Christian Community carries within it this element of responsibility from spiritual to physical. Now let us look how we managed last year to care for what we are familiar with and the challenges we faced. A big impact financially was the substantial repair and renovation work carried out on the East Manse. It made things more difficult in that we did not have a tenant for several months. We also had to settle a large rates query on the Windmill Property. In addition various unexpected repair works became necessary. The ideal to cover normal running expenses with regular contributions still remains to be achieved. In fact, it is in this area that our most urgent attention is needed!! It is imperative that our running expenses are covered by regular monthly contributions. In summary: in this past year we had to draw the greater portion of our savings, which had been accumulated over many years. This means, we have practically no reserves any more. This situation has to be addressed and a solution found urgently. And the future? Since January this year we have had two community forums which provided space to look in particular at the future financial situation of the community. It became clear that members have a common vision and ambitious ideas for the future. New creative means have to be developed and found in order to generate the funds necessary to provide for a running of the church in a worthy fashion, going forward. What does the community -we- want to do with what is available? Can we formulate and commit to practical steps that will assure the sacraments will be celebrated now and into the future? ​NOW is the opportunity for each one to give his/her input, set priorities and take decisions with the aim to reach the common vision. For this, the next Community Forum, on Sunday, 3rd April will be the perfect occasion. We have to take the next step, we have to remain in Movement (you remember the other part of the name of The Christian Community?). Trust and great efforts have brought us to this point of development of the community. Trust in the help and guidance of the spiritual world, trust in our ability to be creative and the continuation of our own efforts and support will assure that there is a future now. Sincere appreciation is extended to all whose efforts sustain the community and care for and nurture the earthly vessel through which the spiritual world can work. On the 3rd January after church, a group of about 25 of us gathered to have a conversation about our Advent Fair. The intention was to create an opening over this quiet and peaceful time of the Holy Nights for us to listen and to voice what the true quality of the Advent Fair is for us. The following are some of the main points that were communicated. It is interesting to note that the day we gathered – 10th Holy Night - reflected the month of October, which is when we are all usually very busy with Advent Fair preparations. Our fair is completely unique that speaks to the soul of young people. It is a highlight of children’s lives and is met with great anticipation each year as they count down the sleeps before the day arrives. It is a TRUE and REAL experience for children, that fills them with wonder and reverence. Teenagers and youth find a life-source connection to the experiences of the Christian Community and the fair is one of them. Parents are given a different way to have a relationship to Advent and Christmas that is more spiritual and not materialistic. They can experience a deeper quality and meaning to these festivals. They also have an opportunity to connect to their own inner-child spirit of joy and excitement for what is to come. The fair nourishes us as a community in that it brings us together to work creatively for a higher purpose. It is a real community building exercise and provides us with the possibility to meet each other in a more active and engaged way. The fair is also the fruit of our working together as a community. It is an answer to what comes from the Altar during the previous Holy Nights. It is a deed where the act of the Altar becomes visible. The fair brings out a welcome and unexpected contribution from others that can also be seen as a community outreach. On this day anyone can freely walk in and see what we are about and get a sense for who we are. Through the fair we are serving others in a most needed place. This sharing provided us with a picture of what we, as a community, connect to when we listen in and voice what the true quality of the fair is. It is interesting that the fair being our main fundraiser did not come into this picture, which says a lot about where the true impulse of our fair lives. An important point was brought to our attention that those people who are part of the producing side of the fair are under-resourced on all levels and our community ideal is not carried through everywhere. It was agreed that the old form has been exhausted and a new one is necessary. Through our conversation it became quite clear that the fair has a life of its own and it will continue. The question is not whether we will have a fair or not, but how will we meet it this year? Other relevant points were that an important process will be to grasp the commitment each person can take on individually and collectively as a group. The principle of taking full responsibility for your area from start to finish, and that the preparation starts now already in the Holy Nights, was reiterated. Things need to have the time and space to rightly unfold so that the right qualities can guide our planning and actions. Through our meeting together we were able to connect to a true impulse for our Advent Fair and we created the beginnings of a spiritual vessel for a new fair to arrive. We can now ask ourselves, what is my connection to the fair, how can I best serve this connection and bring it into a reality? This will bring energy to what wants to come. For 25 years this local orchestra has been playing “for the love of music”! An amateur group of all ages, they surface about twice a year to share something of their work together, with a high quality performance of greater and lesser known composers (usually only a stone’s throw from Dover St.). Guest soloists as well as soloists from their own ranks add to the purely orchestral pieces. 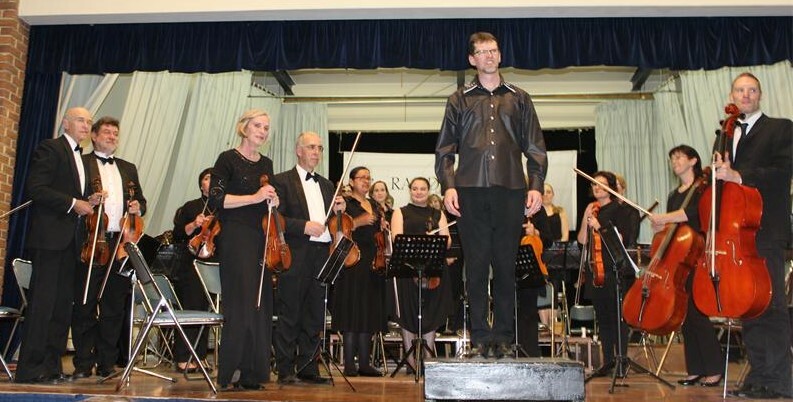 A new chapter began with their recent concert (at the Hoerskool, Randburg Hall), under the baton of a new conductor, Carel Henn, who is also a fine cellist. He played on this occasion a very moving performance of Haydn’s cello concerto no. 1, a piece which only came to light in a museum in 1961, 150 years after Haydn’s death. The orchestra opened with a spirited rendering of Rossini’s William Tell overture and rounded off the afternoon with Schubert’s “Unfinished” symphony. Culture on our doorstep! Their next performance (5th June) will be their annual Youth Concert, where they give the opportunity to 10 year olds and upwards to share their burgeoning talent. Highly recommended! Jesus was baptised by John in the river Jordan when he was 30 years old. What happens thereafter as a result of this is the content of the Gospels. It is the archetypal journey of the individual human soul in learning to ‘walk and work with Christ’. In the events which unfold from Palm Sunday through Holy Week to Easter Sunday, the disciples and we still today, can be witnesses to the cosmic event of the Christening of Humanity. As mirrored in the renewed Sacrament of Baptism and the path through Holy Week, what is a very individual path of evolving human potential transcends into an event which embraces the whole of humanity as a Being with spiritual identity. Around the world more and more souls are awakening to the reality and responsibility that we are One in manifoldness. The Mystery of Golgotha, the Deed of Christ of Good Friday, Holy Saturday and Easter Sunday, is the quantum leap in our evolution in which Spirit Man is born. This vulnerable, endangered newborn Beingness is our responsibility together to ‘Christen’. This can only happen in the way the individual walks and works with Christ in their life, in awareness of the community of those who dedicate themselves to the same purpose. The Process of Creation: Thinking an idea. Feeling an idea. Willing an idea into being. “The Seed” begins with a thought or feeling – is planted with the Word and requires Action to nurture it into becoming. Adam Botha has, since he was a child, revered with wonder the natural world. He has been drawing and painting since he can remember, and later on in life discovered the joy of photography. He continues to explore and express his journey through the power of image and word. More information is available on the artist's website iwalkawakecreative.com and on his business site iwalkawakecoaching.com. There is a point of emergence from childhood into youth, which can be recognised outwardly as the beginning of a new epoch and inwardly as a second birth. It comes at the age of fourteen. In the service of Confirmation, the child, who was surrounded by relatives, teachers and friends, is solemnly dismissed into life as a personality in his own right. In the days when knighthood represented the noblest task in life, the knight was sent out on his quest after a celebration of the Mass at the altar especially in his honour. Confirmation is likewise a service of Sending out and it involves a quest. After having naturally accepted the world around him as a child, the youth will begin to face himself and his life as a question and his quest is to find the answer. Like the knight of old he has to go out alone and find self-dependence, even though there might be companions. To do as one likes is easy. To make a satisfactory job of one’s life is quite another matter. Handling freedom can be quite scary. The words of the sacrament of Confirmation speak of Christ as the divine Companion, who will guide the individual soul on the pathways of life. To seek this guiding presence not by looking outside but within one’s own heart is the experience of discovering the truest part of one’s self. Temptations today are almost never straightforward and often disguised and unexpected. Where do the necessary heroic qualities come from at such a time? They are called up from the hidden depths, below the level of ordinary emotion, where a reservoir of strength lies, to be found when it is needed. They come from the inner place of the soul where the self, all loneliness notwithstanding, is never alone. To have been made aware of this inner source and been blessed with its reality in a moment of heightened awareness is an invaluable gift. Everyone’s presence at this special occasion forms the vessel for the Christ-blessing to flow for these young people. I derive personal support from the services, priests and community. I wish it to exist so that other people may derive support whether I experience the support myself or not. One can also have the experience that The Christian Community has a need to exist or has a mission to fulfil and I can feel that I need to help with this mission. The people present divided into about 7 groups of three each to consider three thoughts related to the Wellspring Uncapped. Firstly we shared what part The Christian Community plays in our respective lives. Each group also shared the general theme discussed in their own group with the rest of the groups. Secondly, we spoke about what it would take or what would be necessary for each of us to bring people to the church. The responses were interesting. Very few people feel comfortable or feel a need to invite friends to The Christian Community. Some of the reasons relate to the difficulty in explaining what our movements stands for in a language to which ‘outsiders’ can relate. Suggestions were for regular introductory talks for others and assistance for members to speak about the movement. Other suggestions were to develop a more social and family experience in the congregation and to openly invite people who are already open to ideas on karma and reincarnation to visit us. Lastly we considered what each of us must do to manifest a Christian Community of the future. Thoughts that arose were to understand the glue that binds us as spiritual and social beings into a movement; to live the words spoken in the Children’s Service; to take what the Sacraments offer as nourishment into life and to allow for daily activities to be transformed through the Sacraments; to be a place where we truly learn to become the future community of individuals and the seed for others to learn; to help people find their core. These thoughts were left to live in our souls to discuss again at a future occasion. ​Eva Knausenberger visited us over the festive season and once again offered her time to do a most valuable biography workshop. The purpose of this workshop was to strengthen the “I am” in us by using our imaginative faculties to recall ourselves from birth to present time. The important thing being able to visualize ourselves without the trauma or events and to do so without judgment or criticism, but with love, care, kindness and acceptance. I was struck by how most of the participants didn’t seem to have a relationship to their past in the present time. With some, (me included) having to resort to photographs to remember what we looked like as children. And still, after a few sessions most of us struggled to just recall ourselves without the trauma or events. With practice and perseverance it does become easier to recall and the necessity of photographic aids disappear. We all have been traumatized in one form or another; undigested traumatic memories become unconscious memories with a life of their own. They form our life body and trigger instinctive behaviour without the benefit of input from our better selves - our “I Am”. Most of the autoimmune illness of our time, such as eating, sleeping disorders and Alzheimer’s are all trauma related. Unless the person is able to see him or herself without the trauma, the trauma becomes the focus. The way to heal is by strengthening the “I am” through self-observation, which becomes self-knowledge. And by expanding our consciousness into the past, we also expand it into the future. During the 12 Holy Days after Christmas, Christine Allsop offered a Eurhythmy workshop based on Rudolf Steiner’s Foundation Stone Meditation. This meditation encapsulates the essence of Anthroposophy: Man as a Spiritual-Physical being and how, as free individuals, we stand in relation to the heavenly worlds and the evolution of mankind. The meditation is beautifully written. It reads like a logical, step-by-step instruction booklet to build some intricate and awesome thing. And of course that is what it is: A D.I.Y. Initiation Kit. Steiner in fact recommended that the parts of the meditation should be practiced on specific days of the week. But the words and the concepts are difficult to grasp. It is as if our rational minds lack a spiritual vocabulary. I think eurhythmy fills this gap. It is the tool that makes visible the invisible. Christine started each session with a warm-up. Who would have thought that the letters “A”, “O” or “E” come with such gravitas? When we form these letters with body movement and breath, each letter seems to bring with it something very old - an ancient bloodline or some pre-historic wisdom. Eurhythmy also makes tangible the boundary between the physical and the spiritual. Christine, for example, made us move forward to express the physical and backward to manifest and experience the spiritual. Such a simple thing, but with this movement the words of a challenging meditation became simple forms: a triangle, a lemniscate, a circle, and a star. Eurhythmy made the words and the thinking behind them alive and meaningful. We are truly blessed to have someone like Christine in our community. She brings with her years of experience and the authenticity to wake up the “I am” in others. Thank you, Christine. 2015 has been a year of success for our paper recycling. With the help of our partner, we have risen to the challenge of reaching the R10 000 target and in fact have surpassed it. ‘Well done’ to everyone! It is good to see that our efforts have been quite consistent. The first quarter of the year was the best, with more than 4 tonnes of waste paper collected at the church. However, we did exceed 3 tonnes in each of the following three quarters. By the end of the year our own total was well over 14 tonnes, generating R5 000. The table below shows the weights and values for the church and for our partner Multotec. I have included the previous year’s summary for easy comparison. 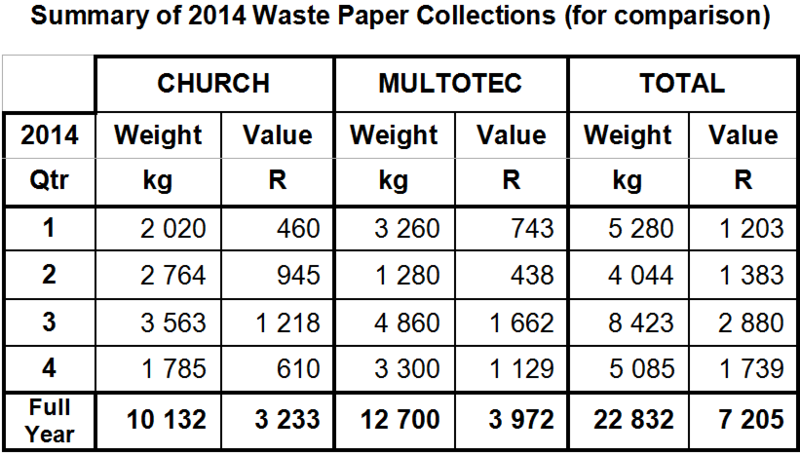 While the price increase of 50% that came into effect in April 2014 definitely helped with the income for 2015, you can see that the total weight of waste paper collected also increased this past year by about 10 tonnes. I am looking forward to a similar increase in tonnage in 2016. Enthusiastically taking up the challenge, Multotec too increased their weights substantially. There was one quarter when it seemed like we might get ahead of them, but they soon caught up collecting 17.5 tonnes of waste paper that brought us nearly R 6 000. On behalf of the Community I wish to thank most sincerely everyone at Multotec for contributing so much towards this initiative. We have achieved this year’s target but there is still a considerable scope for more. During 2015 we had 17 collections (approximately 1½ a month). 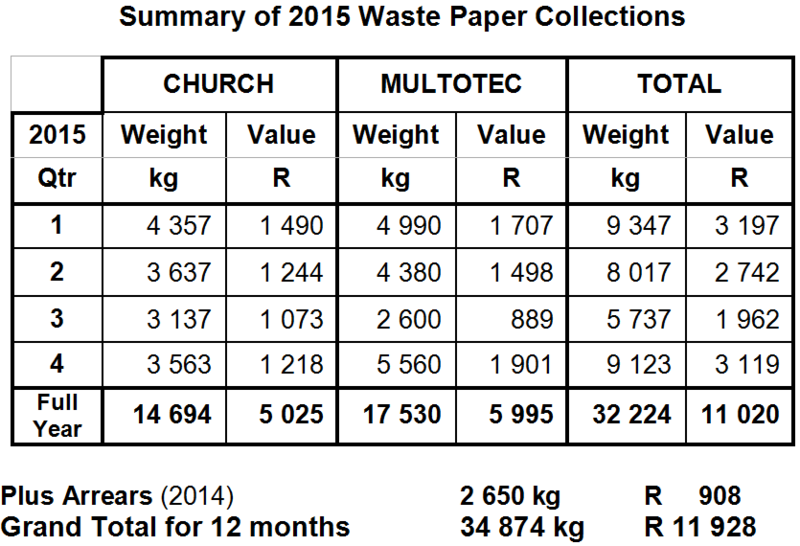 By increasing the frequency at which we fill up our church paper bank to a modest twice a month, we should be able to bring 20 tonnes of waste paper and hopefully reach R7 000 for our own collections. This would mean doubling the amount in two years. Remember that ANYTHING made of paper can be recycled. This is my new challenge for 2016 and it is within reach. Let’s try and do it! Many thanks to those who regularly bring waste paper to the church; your support is really appreciated. Special thanks this year go to Bryan Poulter, who designed and constructed a large and well thought-out area under a roof for our recycling. We are now ready to receive all the extra paper we are expecting! As always, ‘thank you’ to Daniel who packs boxes and loose items into sacks, keeps our recycling area tidy, and is always willing to help unpack heavy loads with a smile. The biggest thanks must go to Multotec for their invaluable continuous contribution to our finances. On 6th December Malcolm Allsop gave a lecture entitled “Advent of a New Chapter in Christianity”. The first Advent in Christianity, which Malcolm did not speak about, was the founding of the organised church in the 4th century under Constantine the Great. A next Advent, that Malcolm spoke of as the one that might come to a person’s mind, is the Reformation. The Reformation put the Holy Bible, and in particular the Gospels, into the hands of the ordinary people, in a language they could understand, for the first time. Up to this point in time the Gospels had been the dominion of the clergy and were read in Latin only, thereby placing power in the hands of the clergy to interpret the Holy Scriptures for the ordinary person. A number of events in Europe paved the way for a change to occur in the Church that had become stuck. The catalyst needed was the man Martin Luther, a student of philosophy and law, who was led to a monastic life and ordination by a lightning bolt. On reading Paul’s letter to the Romans 4:16-17 where Paul writes that Faith is the source of the true future, Martin Luther formulated a letter to his bishop which became known as the Ninety-Five Theses. When this letter was translated into German and, through the newly invented printing press, distributed widely, the scene was set for the Reformation. A next Advent in Christianity, and the subject of Malcolm’s talk, is the Christology of Rudolf Steiner. Although much of what Rudolf Steiner wrote and spoke about in relation to the Christ was not new, he put it together in a complete picture that is new to Christianity. He did not, however, write his Christology in a single book or speak of it in a single lecture cycle. One must search through all that Steiner wrote and said to piece together his Christology. 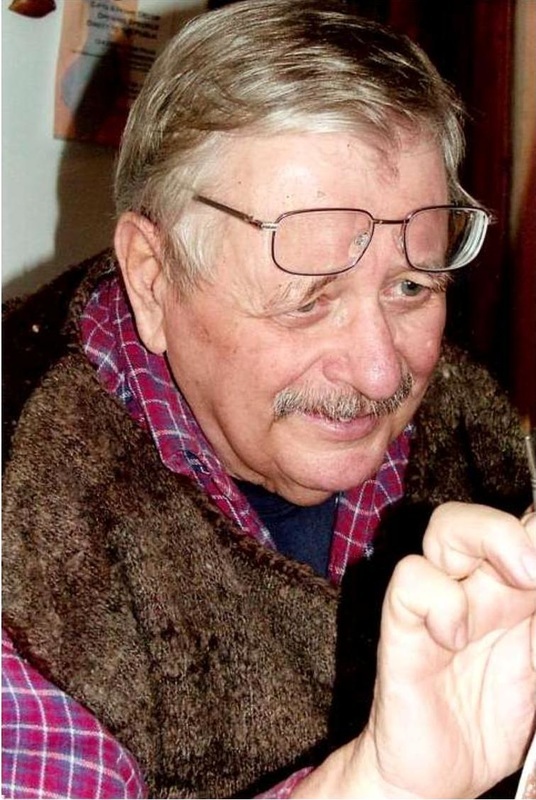 Alfred Heidenreich kept vigil in Steiner’s study after Steiner’s death. This was the room where Steiner spent the last six months of his life, unable to leave due to ill health. The study was dominated by the nearly completed sculpture of the Christ. Heidenreich describes Steiner as having laid down his life at the feet of Christ. For this talk Malcolm looked only at what Steiner has added to our knowledge of the Advent-Christmas-Epiphany Festivals. Relating to the Festival of Advent, Steiner speaks of the long path that the Christ Being travelled through the millennia to Christmas. In his book “An Outline of Esoteric (Occult) Science” chapter 4 segment 84, Steiner describes the working of higher beings on a part of the life-body of human beings. He says, referring back to a previous mention in the book, “these higher beings were the ones who had left the earth at the time of the Sun’s separation in order to occupy a new dwelling place under the leadership of one of their own exalted fellows.” Had the life-body come completely under the control of the human “I” at this time we would have freed ourselves from the Sun beings to become completely earthly beings. A few pages later, in segment 88, Steiner describes the Sun-being, whom certain humans could, at that time, perceive in their life bodies (collectively, not individually), as the being who is revealed to present day human beings in the relationship of Christ to the cosmos. Steiner also relates how, in his journey towards Christmas, Christ worked through the Hierarchies into the evolution of human beings. Working through the Hierarchies nearest the human being in the periods known as Lemuria and Atlantis, Christ brought about our ability to be upright and to speak. Steiner also indicates how the Sun-being influenced incarnate human beings at various times in history: in India, Persia, etc. Paul was the first person to develop a Christology often seen as having its 'birth' in Acts 17 when he addresses the Athenians. Malcolm quoted passages from Paul’s letter to the Galatians and to the Colossians (3:16), where Paul's grasp of the dimension of Christ's Being shines through. The Advent Garden and Spiral is a manifestation of Steiner’s Christology. It represents the approaching spark of light that is the Christ. Also, it is a picture, pertinent for children, that the Logos light is available at the centre and can be collected by moving towards it and then placed somewhere along the path of our life. In relation to Christmas, Steiner says that it is possible to understand the virgin birth. Mary was in a state of consciousness that brought the spark of Christ into the child that was conceived. However, this conception was not possible without Joseph and this is clear as his genealogy is clearly vital to the child that was born. In our present time there is an aspect of a virgin birth in the consciousness at work for the mother. An Anthroposophical journal also proposes that the conception occurred with the sun in the constellation of Virgo. Even prior to Rudolf Steiner speaking of two Jesus children, others had already researched this subject. Two different qualitative streams are represented in the two stories. The shepherds, as told in the Gospel of Luke, represent warmth. The Heavenly Host that the shepherds experienced was in fact the Buddha appearing in the form that he assumed after having built his physical body through his own forces as the Buddha on earth. This body that succeeds the “body of perfection” is called the Nirmanakaya. From the Nirmanakaya of Buddha compassion flowed to the child described by Luke and remained with this child to adulthood. The Buddha practiced compassion while through Christ deeds of compassion have become possible for all humanity. When we listen to the festival prayer at Christmas, we hear the nine Hierarchies honoured. We know that as the Christ descended towards earth he worked through each successive Hierarchy. Our deed of offering through the Act of Consecration of Man works upwards through the Hierarchies. Epiphany is the story of the second Jesus child born from the Solomon stream (Gospel of Matthew). This child attracts the attention of the wise priest-kings of the East who bring gifts of a different quality; gifts of a Mystery background. The Oberufer plays are useful to ponder as helpful pictures of what is contained in Christianity. There are many other points to the Christology of Rudolf Steiner that were touched on in the lecture given to the Anthroposophical Group in September and Malcolm makes these available in point form on request. As our family prepared ourselves as first-timers for the camp, our children grew more apprehensive as the day for drop-off drew nearer and more so than we parents, who had heeded the call of our children's teachers to trust in their capacity for independence. 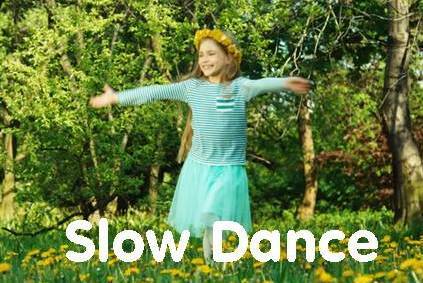 As such our children would spend ten days without any contact with us and ideally this should be experienced before their emerging self-consciousness makes it more difficult to allow them to immerse themselves in the experience without hesitance. We had got this partially right; our son, the first born at ten and a half years, already beyond the 9 year old transition into self-consciousness and an introvert, our daughter the second and last born having just turned eight two weeks before camp, perhaps just at the brink of the emergence of her self-consciousness. We as a family are not unfamiliar with parents and children being separated for many days at a time. The longest we had ever been apart without contact whatsoever was just recently, when for 5 days we parents were on the Otter Trail on our own adventure. Our children however, had never left us! at home, while they were off on their adventure - a welcome taste of empty nest phenomenon, palatable in its short duration. As the days passed the children's and our emotions swapped - as we were to find out - their apprehension became ours - or at least mine, let me be cautious to speak for my husband, and they revelled in the independence we entrusted to them, which became blatantly evident as we first set our eyes on the children after the ten days. Being the earliest to arrive to collect our children - strategically early in my anxiety not to miss their last morning circle, but mostly to catch a glimpse of them at play unaware of our presence before the formal farewell, it was obvious that the safe and comforting environment had allowed our children to open themselves up to new friendships and experiences beyond the reach of what we as parents can offer in our presence. After the farewell circle that is not sorrowful for that which is now past, but rather consolidating of that which has been gained along the journey and an enthusiasm for what lies ahead, we gathered ourselves together and loaded handmade candles, makeshift fishing rods and a kettie, a tie dyed cushion, and other handmade goodies and headed home. My husband was encouraged as the children, dressed in newly tie-dyed t-shirts, sang songs accompanied by the guitar played by Mr Bester. Oom Gerhard, the camp mascot, animated by Mr Jason Higgins, described to the audience all the adventures of the days spent together, interspersed with plays by each group of their chosen name. Each day had been given a name. This seemed to suspend the camp days in its own time and space - the only day that I can remember being "Flames flying high in the sky day". In retrospect, my enthusiasm for their independent experience had waned into apprehensiveness over the ten days. When we arrived, we were presented with my son participating enthusiastically in a ball game - this, the child I was most concerned about. He was enthusiastic to see us, but fully present and not easily extracted from his experience - as a mother I required no more affirmation. Our family nightly ritual as we bid each other good night involves us describing in turn our day - he described his favourite part of that day as "seeing us again" and his worst part of that last day of camp as " leaving camp". In these few days after camp, the difference that our individual experiences of the ten days has made to each one of our lives is yet to be fully assimilated, but there is something both positive and disconcerting which remains to be both understood and articulated and cannot be done in such a short time. We are very sure, however, that this experience has catalysed personal development in all of us. Thank you to all the young people and leaders who made this experience possible! The word Epiphany means appearance. The ancient Greeks meant the appearance of a god. The Romans expanded its meaning to also include the appearance of the Caesar, for instance when he appeared in remote provinces. In the Christian churches the Festival of the Appearance was placed on the 6th of January and in the eastern orthodox churches it is until today celebrated as the Birthday of Christ through the baptism in the Jordan of Jesus. Toward the end of the 4th century, the Roman church promoted the Festival of the Birth of Jesus on the 25th of December and placed the emphasis for the 6th January on the appearance of the heavenly Gloria of Christ for the first messengers from the Orient, the 'heathen world'. Therefore this day received its other name ' Holy Three Kings Day'. It was not so much the birth of Jesus in Bethlehem which was the focus of the early Christians, but rather the Epiphany as the 'God-becoming' of the human being Jesus. The baptism as a 'Birth of God' in reality on earth was an integral part of Christian thinking. Baptism and birth were one. 'In Jesus the Christ entered as man into the earthly world' - this sentence of our creed picks up the conviction of the early Christians. Epiphany as the early Christian festival of the Appearance of Christ as the Son of God through the baptism in the Jordan, a festival of cosmic expanse and spiritual insight, was reduced to only one aspect: the day of the appearance of the star for the heathens and the reverent Magi before the child Jesus. Shifting the central focus to the Christmas festival on the 25th December brought the beauty, tender innocence and depth of heart of the Gospel of Luke and the birth it describes closer to human hearts, but it also came with a spiritual loss and suppression of the Baptism Event and the Christ Mystery. A veil was laid over the beginning of the Gospel of Matthew and the creation of a 'Son of God'. A renewed understanding of Christ and the Baptism in the Jordan has been opened up through Rudolf Steiner. Already with the Baptism the transformation of the earth through the Sun-Christ-Power has begun. Rev. Rudolf Frieling describes the Jordan baptism as the decisive binding of the Sun-Logos to the temporal earthly body, although the death consequence of this 'embodiment' only finds its fulfilment on Golgotha. As Movement for Religious Renewal it is an important concern of The Christian Community to contribute to a new understanding of the Appearance, the Epiphany of Christ on earth, and that through the Festival of Epiphany the spiritual content and cosmic experience of Christianity is re-discovered.